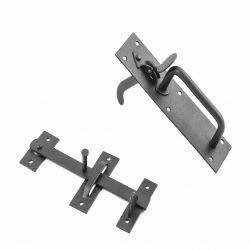 Wrought Iron Slide bolts offer security as well as beautiful design, and add a touch of elegance to your home. 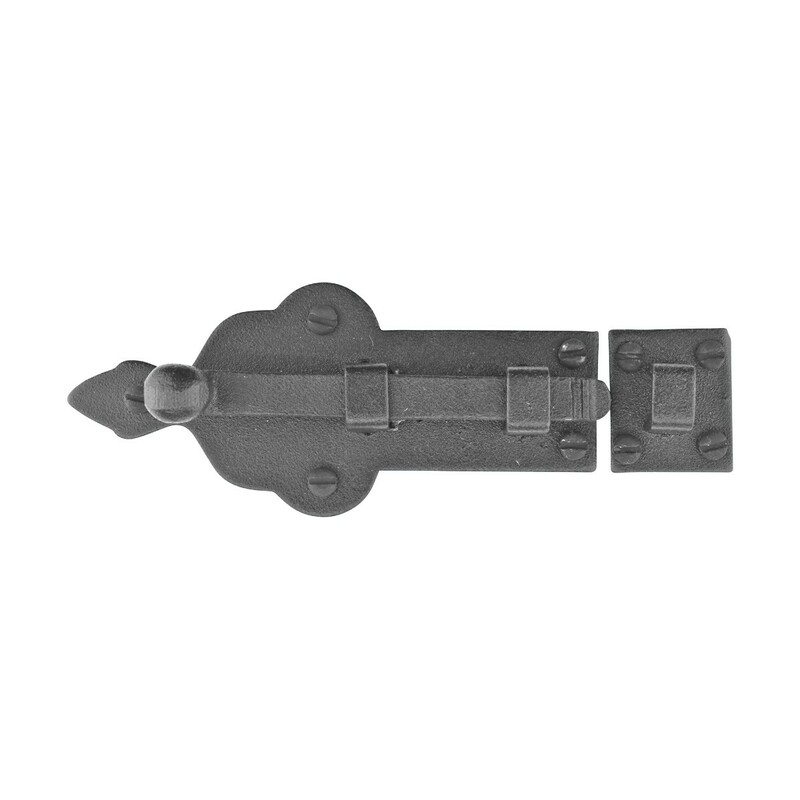 Our Spade slide bolt is hand-forged in our New England forge by skilled blacksmiths using traditional methods. Keeper plate is 3-3/4 inches W x 1-3/4 inches H, and has a 1-1/4 inch projection. Looks beautiful on cabinets, gates, and armoires. 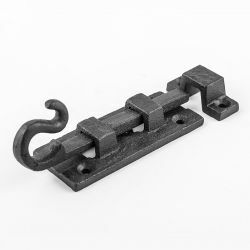 Our Wrought Iron Spade slide bolt is crafted of hand-forged wrought iron and is popular on cabinets, doors, armoires and gates. 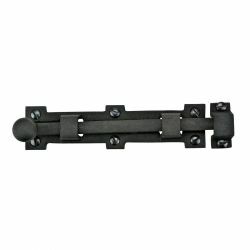 A fabulous detail for a modern look or for authentic Colonial style. Our exclusive coating protects this product for years to come. Keeper plate measures 3-3/4 inches W x 1-3/4 inches H, 1-1/4 inch projection. Mounting hardware included.